The mission of North Cypress EMS is to provide outstanding emergency medical services and patient transportation services. We provide these services in a professional manner while maintaining the dignity of those we serve. Our staff continuously strives to learn, improve and grow in enhancing the delivery of emergency medical services to those we serve. 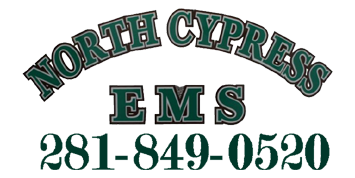 North Cypress EMS is a family owned and operated establishment that takes pride in treating each patient as if they are family. Founded in 2007, we remain commited to always providing exemplary care and service to everyone we serve.